Newcastle disease (ND) is a highly contagious viral disease that affects both domestic and wild birds worldwide. ND is caused by the Newcastle disease virus (NDV), also referred to as avian paramyxovirus (APMV). NDV belongs to the genus Avulavirus within the family Paramyxoviridae. There are several different strains of the NDV. NDV strains were originally classified into three virulence groups by chicken embryo inoculation as virulent (velogenic), moderately virulent (mesogenic), or as low virulence (lentogenic). For regulatory purposes, this classification system was modified so that velogenic and mesogenic viruses are now classified as virulent NDV, the cause of ND, and lentogenic viruses are the low virulence NDV that is used in the manufacturing of the vaccines. The most severe strain of the virus is called viscerotropic velogenic Newcastle disease (VVND), which is often referred to as 'Exotic Newcastle Disease'. Incoordinated (ataxia) walk and movements, where affected birds may be seen stumbling frequently, and appear to lack proper balance. Abnormal head and neck position, resulting in head tilt or wry neck appearance. Unilateral or bilateral partial or complete paralysis of their legs and wings. However, the above-described clinical signs are not always seen in chickens with ND. Many affected birds may only show signs of general weakness and prostration. Diarrhea with hemorrhage is actually a classical clinical sign of the highly pathogenic (visceral, velogenic) ND in domestic chickens. The severity of ND varies widely and is dependent on factors such as: the strain of the virus, the age of the chicken (young chicks are more susceptible), concurrent infection with other organisms, stress and immune status. NDV is spread by infected birds shedding the virus in their feces, body fluids (such as respiratory secretions from the nares, mouth, and eyes), and eggs. When birds are infected with NDV that may shed large amounts of the virus. Usually all members of the flock become infected within 2 to 6 days. Infected wild waterfowl (ducks and geese) can maintain low virulence strains of the NDV to themselves and to other species, including chickens. NDV can survive for long periods of time outside of a living host, and can remain infective for several weeks in the environment, especially at low temperatures or when protected by associated organic material (such as bedding litter, carcasses, water, eggs, and feathers). However, the virus is destroyed rapidly by exposure to ultraviolet rays in sunlight. The period between infection and the appearance of the first clinical signs of disease is generally between two and six days, but can be up to 15 to 21 days. It spreads rapidly through a flock. Incidents have occurred in severe virus strains, where the majority of the flock dies within 72 hours of infection, without showing any prior signs of disease. Identification and pathotyping of the virus. Demonstration of viral genetic material within the lesions. A significant rise in antibody titre between acute and convalescent sera coinciding with a disease outbreak. 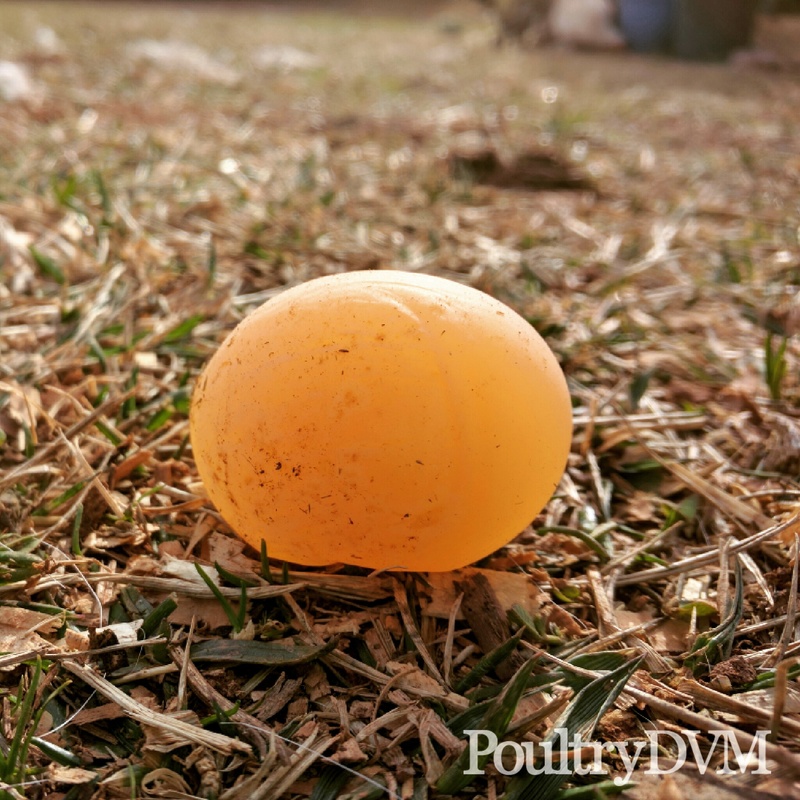 Report disease In the United States, the exotic strain of ND is a reportable disease, meaning that if you suspect that your chicken has this disease, by law you need to report it to your veterinarian, or a state or federal veterinarian. Vaccines: There are a number of different vaccines available. Vitamin A : Provide supplemental Vitamin A or Vitamin-A rich foods. A study conducted on 44 cockerels found that supplementing their diet with Vitamin A delayed clinical signs of NDV and significantly reduced mortality rate (by 36%) and lessened the negative impact of the virus on their bodies. Mortality in adult birds is usually low but may be fairly high from some virus strains. Clinical onset of ND usually occurs when chicks are approximately 16 days of age. Exposure to imported exotic birds can be silent carriers of NDV and can shed the virus in their droppings.